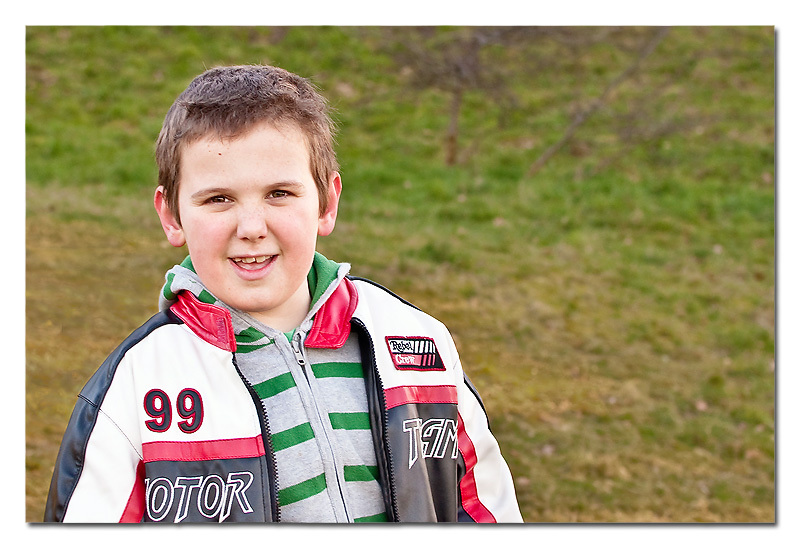 On Sunday I had the privilege of photographing a friend’s son James, who is ten years old. 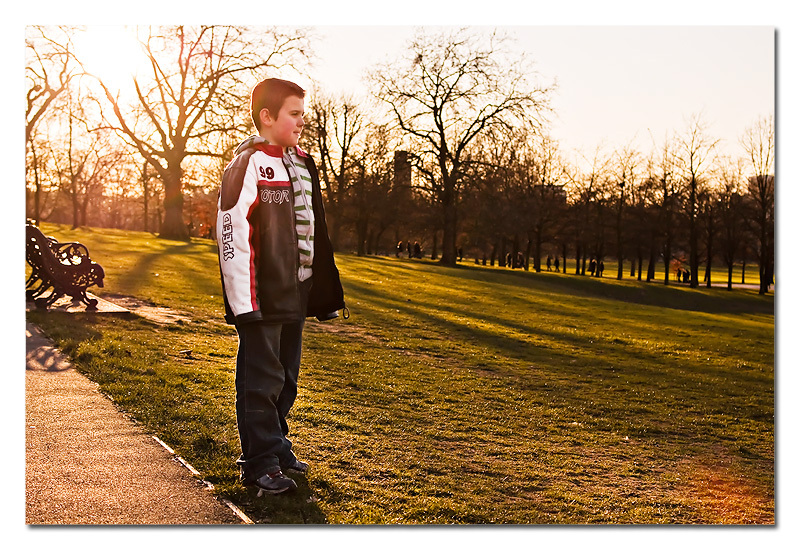 We chose the Royal park of Greenwich just before sunset, home to the Observatory, National Maritime Museum and the Royal Naval College. James is a very sweet boy, and also *very* lively and I put my marathon training to good use as I chased him around the park up the steep hills and over fences up to the top of the hill! 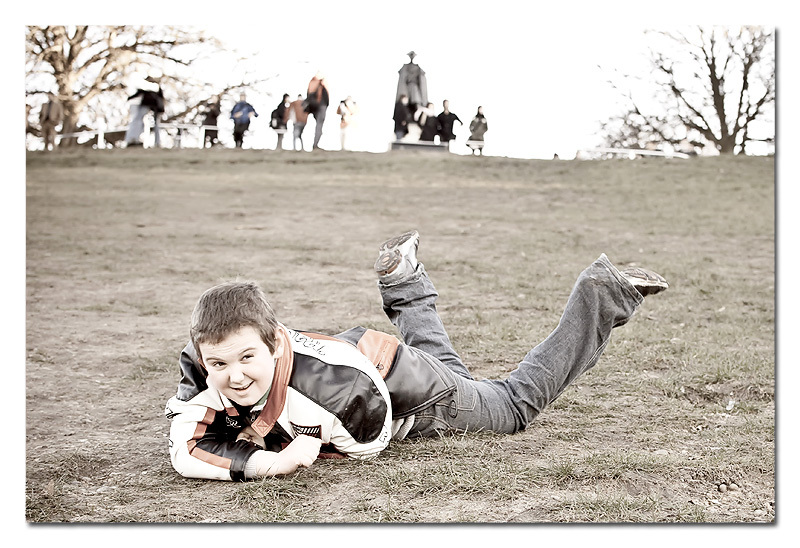 He particularly enjoyed rolling down the hill afterwards, getting rather muddy! The sun was just starting to dip behind the trees when we decided it was just too chilly to stay out much longer. It was lovely to meet you both and I certainly kept warm chasing James around! 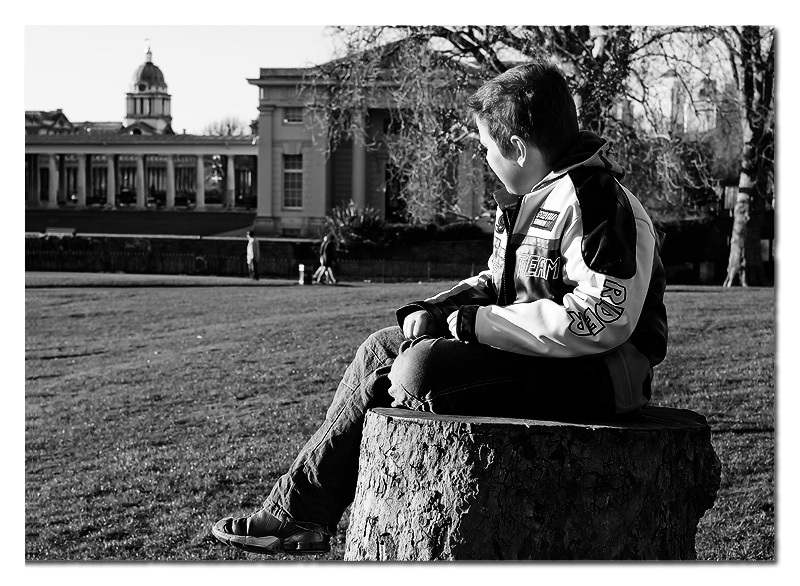 This entry was posted in Children, Natural light, Outdoors and tagged Greenwich Park, outdoors photography. Bookmark the permalink. Follow any comments here with the RSS feed for this post. Post a comment or leave a trackback: Trackback URL. I do adore these photos – again, thank you so much. Anyone else reading – I would totally have paid for them, Rosie is a fantastic photographer and great working with difficult to photo hyper autistic kids! Thank you very much, that’s very sweet of you!! 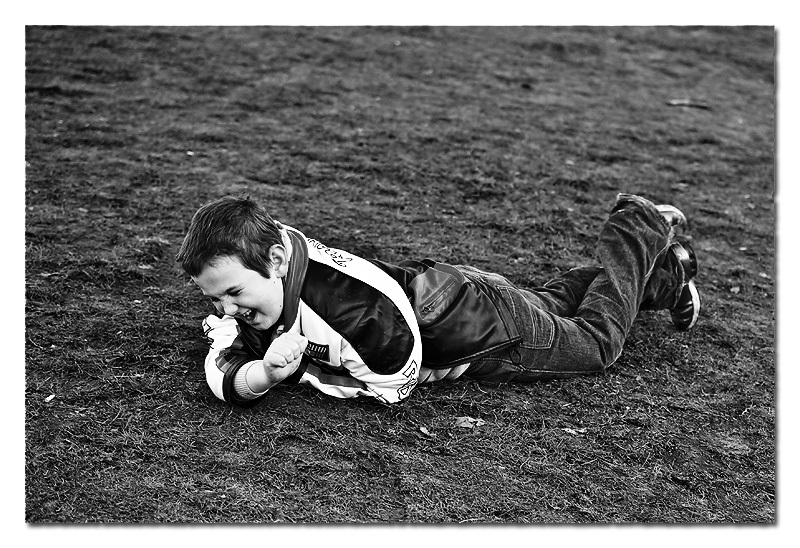 James was good fun to photograph – I enjoyed chasing him all over the park! !